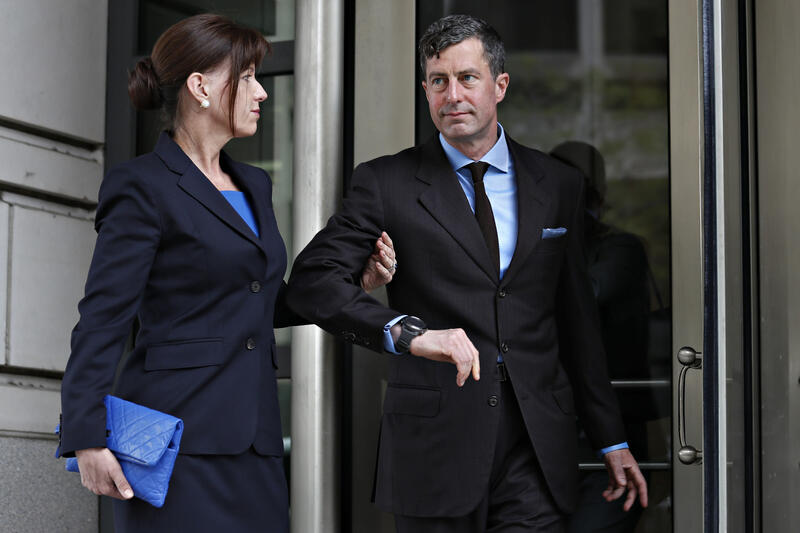 WASHINGTON (AP) — A Washington political consultant initially entangled in the Russia investigation was sentenced Friday to three years of probation for illegal lobbying and skirting the ban on foreign donations to President Donald Trump’s inaugural committee. W. Samuel Patten, 47, and prosecutors had asked for leniency, citing his cooperation in special counsel Robert Mueller’s investigation and other ongoing probes. The sentencing comes as federal prosecutors in New York continue to investigate foreign donations to the Presidential Inaugural Committee and as the Justice Department has been cracking down on foreign lobbying violations. In Patten’s case, he pleaded guilty to violating the Foreign Agents Registration Act for lobbying on behalf of the Opposition Bloc, a Ukrainian political party. He also admitted to orchestrating a $50,000 straw-donor scheme to purchase tickets from the inaugural committee on behalf of a wealthy Ukrainian client. Federal law bars such committees from accepting foreign donations, a fact Patten has admitted he knew when he violated the law. Later, Patten also misled the Senate intelligence committee about his conduct when asked to provide documents and testimony as part of the panel’s investigation of Russian election interference. U.S. District Judge Amy Berman Jackson said she was most troubled by Patten’s lies to the committee and likely would have given him a short prison sentence under other circumstances. Jackson said Patten’s conduct was also “markedly different” from that of former Trump campaign chairman Paul Manafort, who carried out a years-long conspiracy to launder money, evade U.S. tax authorities and covertly influence American policy makers on behalf of Ukrainian interests. Jackson imposed a sentence earlier this year that led to Manafort facing about seven years in prison. “There are reasons why your sentence is not going to be like his sentence,” she told Patten, as she also imposed a $5,000 fine and 500 hours of community service. Prosecutors didn’t fully detail Patten’s cooperation or say whether he has helped as part of the inaugural committee investigation. In court papers, Patten’s attorney, Stuart Sears, said his client wasn’t part of a larger scheme to funnel foreign money to the inaugural committee and isn’t a Trump supporter. Patten helped with the Manafort investigation and was slated to testify in his case before the Manafort pleaded guilty last year. The two men shared an associate, Konstantin Kilimnik, who was Patten’s business partner and a Manafort co-defendant. Craig’s case also relates to the Manafort investigation. In a tweet Friday, President Donald Trump complained that Craig’s case wasn’t covered on the front page of The New York Times.